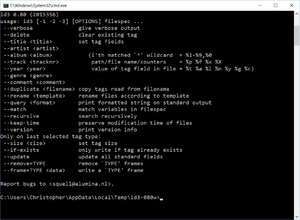 id3 mass tagger is a tool for manipulating id3 and id3v2 tags in multiple files. It can generate tag fields from the filename and other variables, and/or rename files, using an intuitive syntax. id3 currently supports old-style ID3v1 tags, Lyrics3v2, as well as the more complex ID3v2 format. This means its use is limited to audio files which use these formats, i. Version 0.80 is a freeware program which does not have restrictions and it's free so it doesn't cost anything. For security reasons, you should also check out the ID3 mass tagger download at LO4D.com which includes virus and malware tests. Additional screenshots of this application download may be available, too. 3 out of 5 based on 75 ratings.